Erin Spencer began working as a veterinary assistant in 1998 and went on to earn her degree in Veterinary Technology in 2001 from Northshore Community College. Erin quickly found a passion for emergency medicine and continued working primarily as an emergency and critical care technician for the next decade. She earned her VTS (Veterinary Technician Specialty) in Emergency and Critical Care in 2011. Always looking for a challenge, her next step was into supervisor and, eventually, a management role. She served as the technician manager for a large emergency in specialty hospital, overseeing roughly 90 technicians in 10 departments. Beginning in 2009, Erin became involved with the RAVS (Rural Area Veterinary Services) program as a volunteer. This relationship quickly became that of part-time staff and in 2012 Erin transitioned to a full-time role with the program, serving as the volunteer coordinator when not on field clinics. Erin continues to spend 4 weeks each summer participating in field clinics on Native reservations throughout the Dakotas and other western states. She is either part of the anesthesia team or the trip leader on these clinics and enjoys working with each new generation of veterinary students.Erin Spencer began working as a veterinary assistant in 1998 and went on to earn her degree in Veterinary Technology in 2001 from Northshore Community College. Erin quickly found a passion for emergency medicine and continued working primarily as an emergency and critical care technician for the next decade. She earned her VTS (Veterinary Technician Specialty) in Emergency and Critical Care in 2011. Always looking for a challenge, her next step was into supervisor and, eventually, a management role. She served as the technician manager for a large emergency in specialty hospital, overseeing roughly 90 technicians in 10 departments. Between educating technicians while working as a manager and educating veterinary students on RAVS clinics, Erin realized she immensely enjoyed teaching. She earned her M. Ed. in 2015. It was at this time, she also transitioned to a full-time faculty position at Mount Ida College in Newton, MA. She is currently an Assistant Professor and teaches courses including Introduction to Veterinary Technology, Veterinary Management, and Diagnostic Imaging. 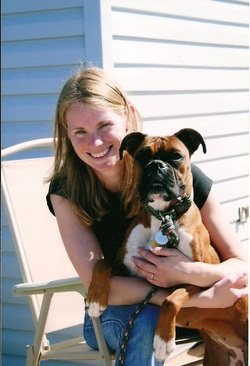 Outside of work settings, Erin is highly involved in the Veterinary Technology community. 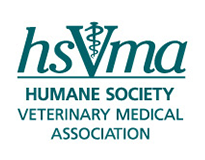 She serves as the President of the Massachusetts Veterinary Technician Association and as a Member-at-Large on the NAVTA Board. She will be serving as the student NAVTA chapter advisor for the upcoming school year at Mount Ida as well.